Improved supply levels from Norway, combined with weaker demand helped to weigh on gas contracts on the near-curve yesterday. 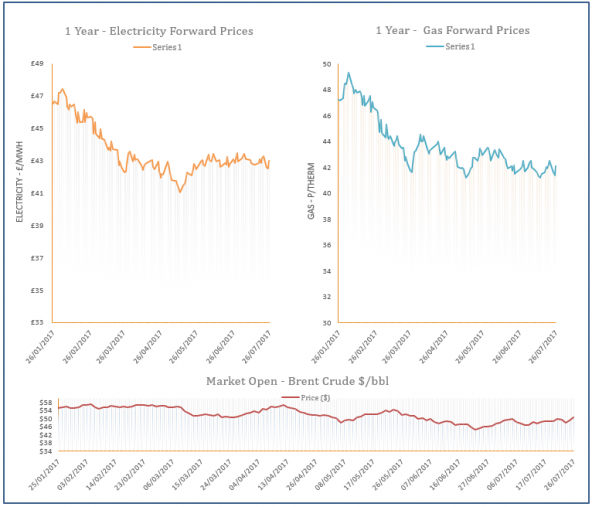 A rise in wind levels contributed to lower demand as gas-fired generation dropped. 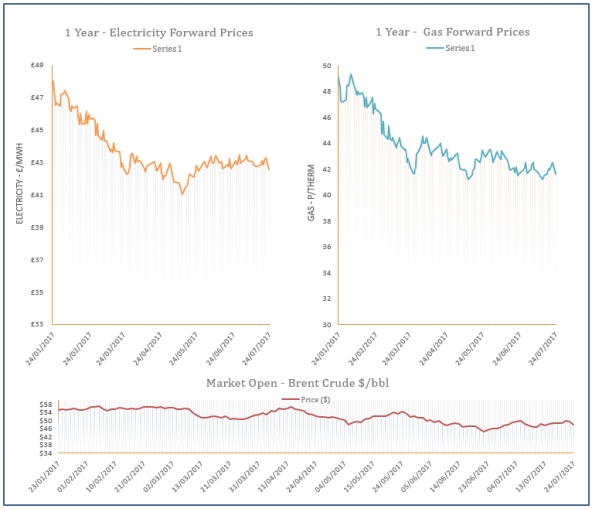 However, rising oil prices continued to support far-curve contracts. Stronger oil prices supported the gas curve yesterday, with restricted Norwegian flows also contributing to gains on the near-curve. The outage at Kollsnes was extended until the 1st of October and imports to the UK will be limited via the Langeled pipeline. The system was short throughout the session on the back of this drop in supply, with weaker LNG send outs also playing a part. Rising oil prices and a stronger European market helped to support gas contracts across the curve on Tuesday. 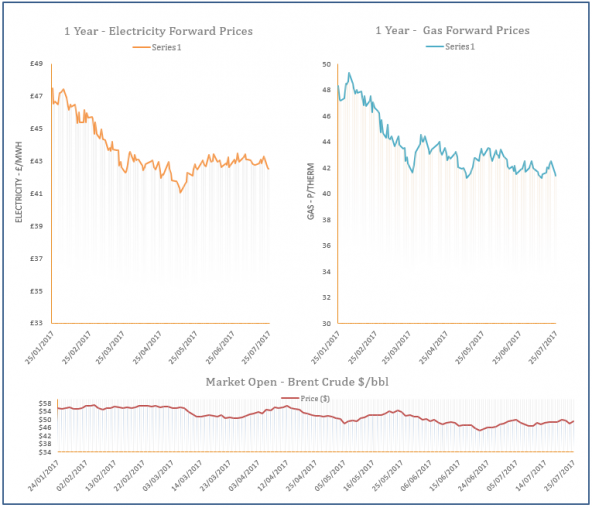 Coal prices also increased, while the outage at Kollsnes restricted gas flows into the UK. 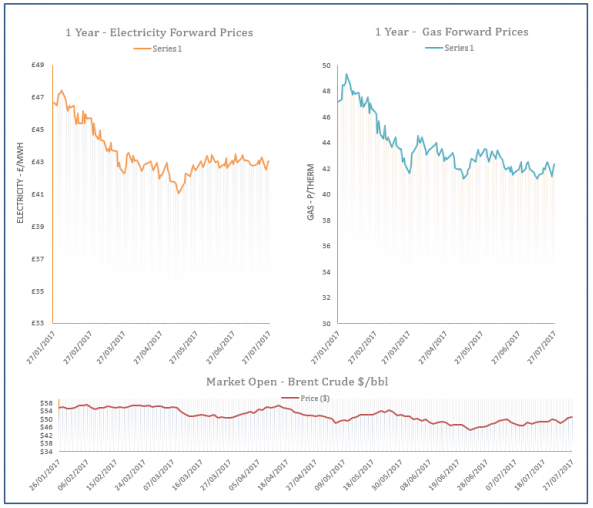 Gas prices moved down yesterday with bearish pressure coming from the EU’s decision to grant Gazprom access to additional capacity on the OPAL pipeline. Coal prices also corrected down but the losses were limited by stronger Brent and a short system, as Norwegian flows remained low. Falling oil prices helped gas contracts decrease on Friday afternoon, erasing the gains recorded at the start of the session. The outage at Kollsnes continued to restrict supply levels in the UK, contributing to bullish movement in the morning. 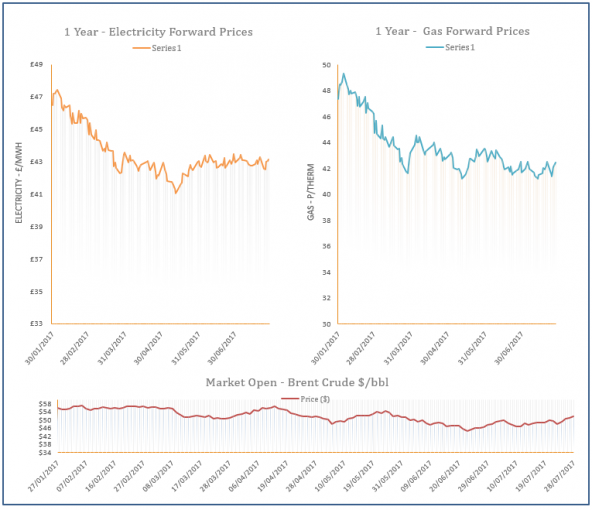 On the far-curve, prices were dictated by rising coal prices and a stronger Euro before the drop in Brent.